Apex Engineering and Apex Controls Specialists present an innovative take on modular compounding lines. 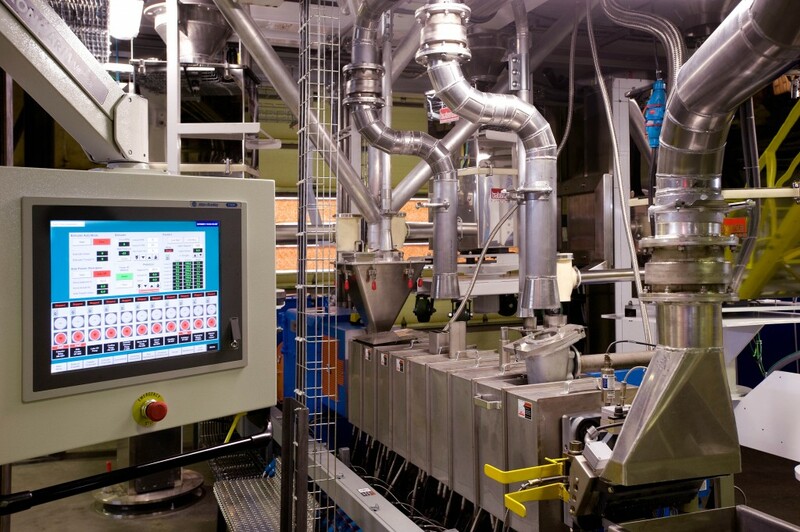 What makes these systems unique to the industry is the flexibility for the owner to choose their own equipment and controls platform to meet their existing plant standards or needs. Also unique is the module assembly process. Once erected, it resembles a normal process line, not a boxy sea crate frame. The modular system can integrate into a traditional processing building and is low profile enough to slide right into a warehouse-type building. 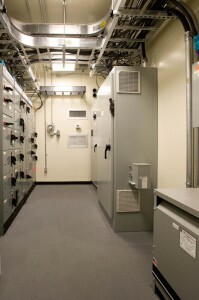 Connecting the electrical systems is truly a Plug and Play approach using safe disconnect rated plugs. Erection couldn’t be simpler with an erect-by-number assembly. 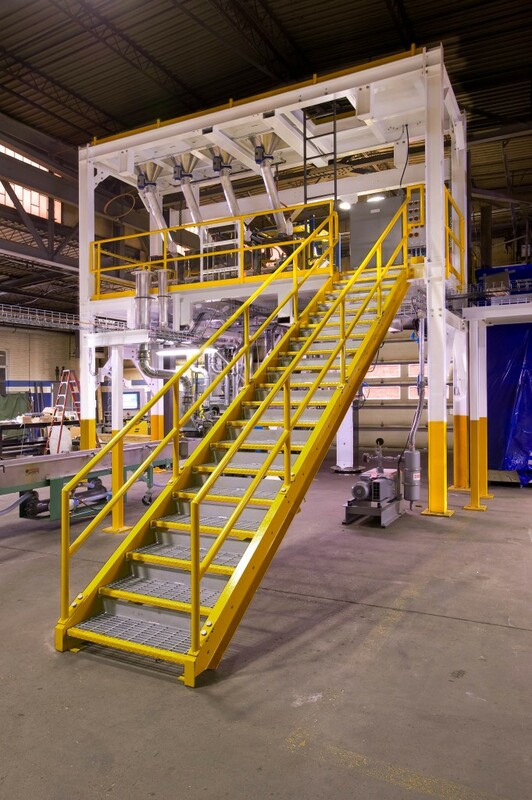 A process line can be generating product approximately 15-20 days from delivery! State-of-the-art control software is included, specifically tailored for the plant floor interfaces. Again, flexibility is the name of the game offering the owner a choice of controls platform, if none is preferred, Allen Bradley is used by default. A Compounding Control Center (CCC) accompanies the process module and all wiring in the field is minimized using Ethernet, remote I/O and intelligent MCC. Project schedules are simplified and shortened 25 -30% with off-site construction resulting in a reduction in project costs by 25-30%. Shop construction reduces fabrication cost by 25-30% providing a competitive option to traditional stick built systems. 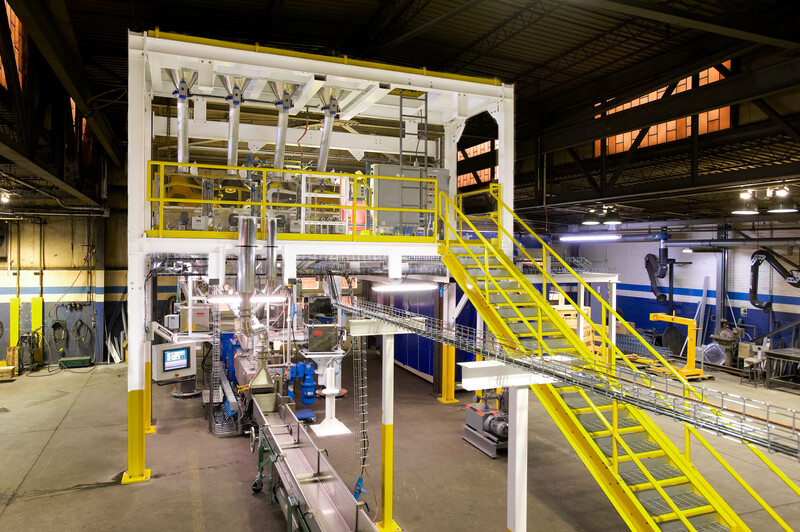 The module looks and operates as if stick built and can be easily disconnected and shipped all over the world, Mobile Extrusion Capacity. This system driven approach to modularization, innovative design, construction and controls integration makes this a real consideration for anyone wanting a capacity increase that is both mobile and has 100% asset recovery. In 2014 Apex commissioned 5 modular lines in China and Brazil, along with past systems in Mexico, Argentina, Saudi Arabia, and United States.